And, unfortunately, it’s a quiet grief. It’s not one we talk about much. In fact, there’s probably a woman you know who is dealing with this right now and you have no idea. We tend to keep it to ourselves--either because we’re afraid no one will understand, or we feel like we should just buck up and move on, or it doesn’t seem real, or we don’t want people to try to minimize our pain, or because it just hurts too much to even say it out loud. I also want to acknowledge that sometimes there are other kinds of grief and loss that come up in our lives. 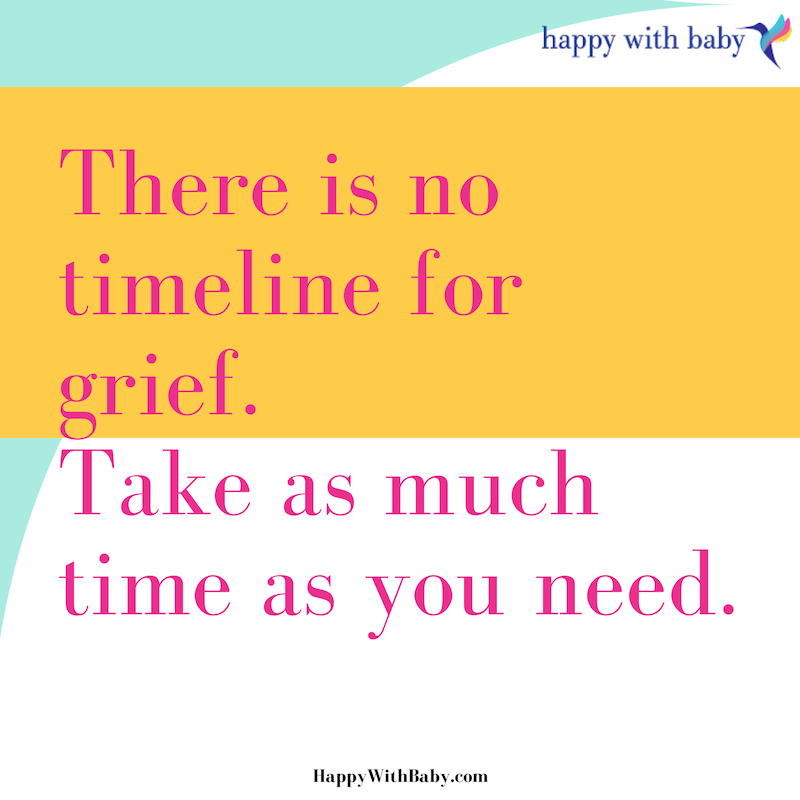 And if we’re dealing with the grief of a parent, a dear friend, or someone important to us while we’re also expecting a baby or trying to keep it all together as parents for our little ones, that can be really hard too. And let’s not discount what it feels like to be someone who simply cares about someone else who is grieving and is trying to figure out how to be a support and feels like they’re doing it wrong--either by saying the wrong things or by not saying anything about it at all. We’ve all been there before, right? So, in this week’s video, I’m talking about 4 really important things that I often remind clients who are grieving a loss. Whatever your experience with loss is, I think they’re important for you to hear too. Hey there. Welcome to my weekly Facebook Live. I'm so glad that you're here today. It's a beautiful day here in Sacramento and the sun is shining and it's not too hot. In fact I'm a little cold here in our office because the heater has gone out. So hopefully be getting someone out here tomorrow to get that fixed, but anyways thank you for joining me. 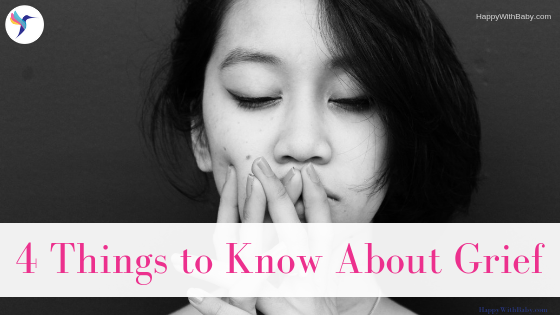 So all month I have been talking about October being Pregnancy and Infant Loss Awareness Month and today I want to address grief and loss in general and how it impacts us all differently. And I feel like I've been talking about this more and more and I think especially with the holidays coming up, it can be really difficult if you have experienced a loss of any type, whether in pregnancy or postpartum or just any family member or something like that especially when you're pregnant. So these are my these are my thoughts. These are my reminders. These are the things I feel like I tell people frequently to remind them kind of when they're in those moments. #1 There is no timeline for grief. Because there's so many times that different things can trigger it, right. Like if there's a moment or an event or something that you would have thought about that person or wanted them to be there, you know, different moments can trigger us and there's is no timeline. #2 It's gonna look different for everyone. We all grieve differently. Some of us, it impacts us right away and we feel all the feelings right away. And some of us, you know, feel like we've got to keep it all in and stuff and then it kind of starts to trickle out. And some of us show it with anger and some of us show it with depression and sadness. And sometimes we show it with like every emotion, right, at different times and it's just gonna look different. So I just want you to remember that as you're doing it, there's there's no right way to do it. It's just--it's gonna be different. And for every loss you experience, it'll be different and that's okay, guys. It's okay. #3 Part of the grief is mourning all the other losses that come with it. This means all the other expectations or dreams or hopes that you had [for this person or for your life with this person in it]. And so, that's why it can take forever. It can be 30 years later and you can still, you know, hear a song or have a moment and feel like, oh I just wish that person would have been here because what would it have been like? How would things have been different? And so, it's okay and it's normal and it's expected. And so I think it's important to like feel those feelings, so that you, you know, don't stuff them in there inside. This last one is there's more for people that are loving those that have experienced loss. Something I hear often is that "I'm afraid to say something because if I say something, I'm gonna make that person sad" or "I don't want, you know, I don't want to bring it up, I don't want to remind them." They remember. They always remember. You never forget a loss of someone that you love. And so, bring it up. Because I think often times it brings comfort to know that they are not the only ones that still remember about the person that they loved. So, say their name. Let them know you're thinking about them. Remind them that you love them and remember that pain for them too. So take care of yourselves, right, because dealing with grief and loss is, like I said, there's no time line, so it's a lifelong thing. And sometimes it's harder than other times and sometimes we feel it more at other times. If you're really struggling with it, you know, reach out and get the support that you need. And I hope that you find comfort in your memories, you find comfort in your loved ones, if you are going through it. So until next time, guys, take care and I'll see you then.